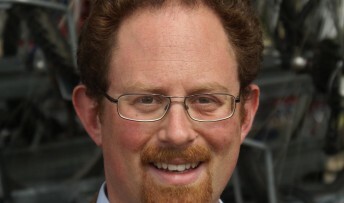 Cambridge MP Julian Huppert was in Westminster today (Friday, September 14) to back a vital piece of legislation giving people with mental health problems greater protection against discrimination. The Mental Health Discrimination Bill, which received a unanimous Second Reading in the House of Commons, amends three pieces of outdated legislation. A Private Member’s Bill, It is supported by the Royal College of Psychiatrists, Mind, Rethink Mental Illness and the Law Society. It comes after the launch of a cross-government strategy to help people suffering from mental health problems at a local level. Julian said: “We are all fully aware of the problems faced by people who have suffered mental ill health especially in finding or returning to work. We need to reduce the stigma of mental illness, and end discrimination against people who are or have been mentally ill. However, the law as it currently stands bans people from being a company director, a juror or an MP just on the basis of their mental health. It is time to end this discrimination being written into the law. “If this Bill passes, for example, people will no longer be able to be exempted from jury service on the basis of mental ill health or be discharged as the director of a company. This will bring these laws into the 21st Century and send a clear message that stigmatizing a person because they have suffered a mental health condition is totally wrong.